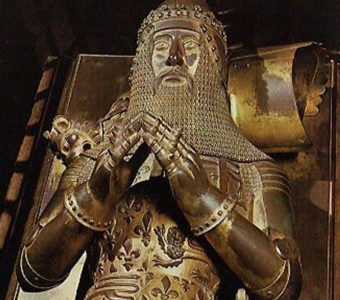 Preserve and acquire items of Wingfield family significance. The Society’s annual meeting has been held each year since 1987. The program includes guided tours of historic sites in the United States as well as periodic trips to Canada, England and Ireland. Local and nationally recognized speakers, as well as members, have presented talks on topics about Wingfield ancestors contributions in history, Wingfield family genealogy, and historic preservation of historic churches and sites with significant historic ties to the Wingfield family. The Society’s members receive a newsletter four times a year. This professionally-designed publication includes information about Society’s activities and programs, informative articles about Wingfield contributions in history and its historic sites in Australia, Canada, England, Ireland, New Zealand, South Africa and the United States. 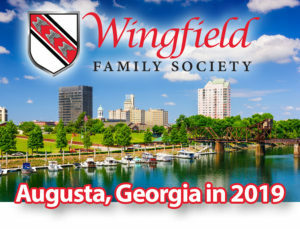 Since the first meeting of Wingfield Family Society on May 1-3, 1987 in Ashland, Virginia, USA, the Society has published several books and publications that cover a wide range of historic topics relating to Wingfield ancestors and their contributions in history, as well as genealogies of many of the Wingfield families and their descendants. 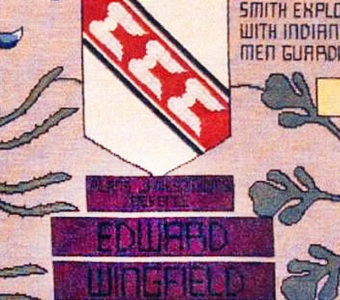 The Society’s website, www.wingfieldfamilysociety.org, contains historical information, news, profiles of officers, program promotion, a Wingfield store where all publications, and related items can be ordered, and member accessible genealogy information. 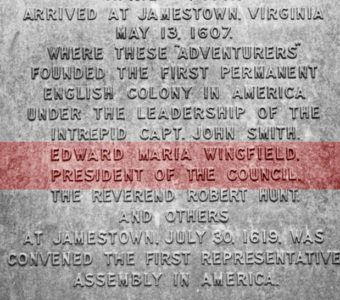 The Edward Maria Wingfield Endowment was established in 2005 with the Association for the Preservation of Virginia Antiquities (APVA) to help educate the public and perpetually recognize Edward Maria Wingfield’s role as the Founder and First President of the Jamestown Colony. The Edward Maria Wingfield Endowment Committee liaisons with the APVA, monitors and strives to increase the size of the Endowment, and determines how best the investment income is spent annually. The development of strong ties with ancestral villages and towns and descendants located in England and Ireland are important part of the Society’s mission since its inception. Approximately every three to five years the Society sponsors a trip to England for its members and guests. 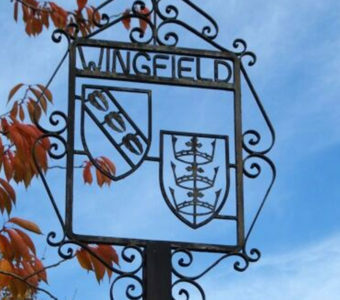 The group visits the ancestral villages and towns of Wingfield ancestors and other historic sites with ties to the Wingfield family. 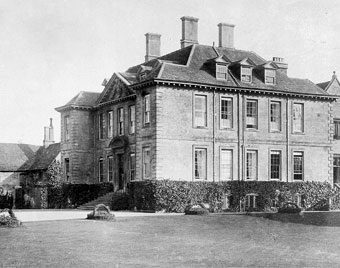 Close ties have also developed with various residents of these ancestral villages and other historic sites and various other Wingfield descendants located in England. Annually, a Society Officer, Director and/or representative attends the Wingfield Sculls rowing race held on the River Thames in London, England on the 4 ¼ miles Championship Course from Putney to Mortlake. The single sculls race was founded on 10 August 1830, at the instigation of Henry Colsell Wingfield of Westminster. On 25 October 2007, the Wingfield Family Society had the honor to present to the Wingfield Sculls Committee the Woman’s Wingfield Sculls Trophy, which was funded by contributions by the Members of the Society. This past year mark the 177th annual Wingfield Sculls and 11th Women’s Wingfield Sculls. Since the formation of the Society, assistance in preservation of historic churches and other historic sites with ties to the Wingfield family has been important to the Society’s mission. To this end, the Society has foster strong ties with ancestral villages and towns in England to help with their preservation of these historic sites.